I use this on our chair and bed. This is the best throw I love it. This throw is so warm. I Love this Blanket!! The quality and size are Superb! I'm able to use this on my Bed, even as a Comforter! It's Soft and the Color is Wonderful! Use in a Basement bedroom. GG nephew was cold so bought for him. Don't have to turn up thermostat since he has throw. They are very warm and colors are great. Everyone loved them. My husband is much colder than I by nature; so when I saw this item in a magazine, I just knew he would love to have one. When it arrived and he tried it out for the first time while watching television, he kept saying how great it was and how it kept him nice and warm. 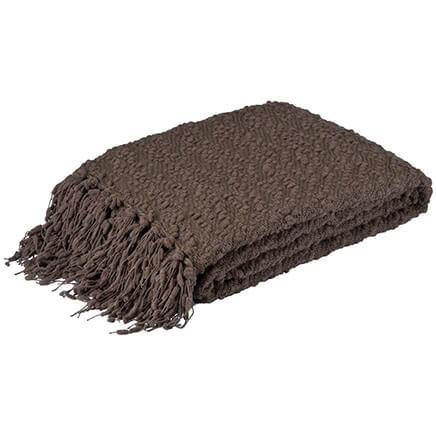 I would buy this throw again because its good quality and very warm. Love this. Its soft & fluffy. I purchased these to give to homeless. They are very nice and I am sure they will keep someone warm. 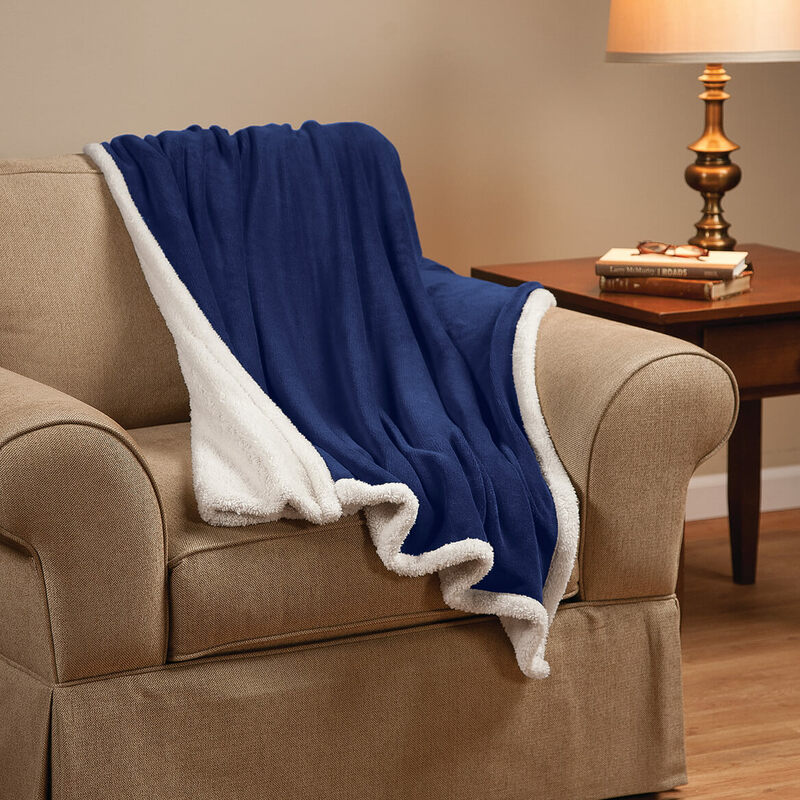 Ultra Plush Microfiber Sherpa Throw - 50"x60"
I bought two of the navy blue throws for my twin sons. They add extra flair to their beds because they coordinate with their comforter sets. The boys also have the option of using the throws for an extra layer of cover or sleeping on top of the comforters and just covering up with the throws. They were a big hit and I ended up ordering one for my daughter too. 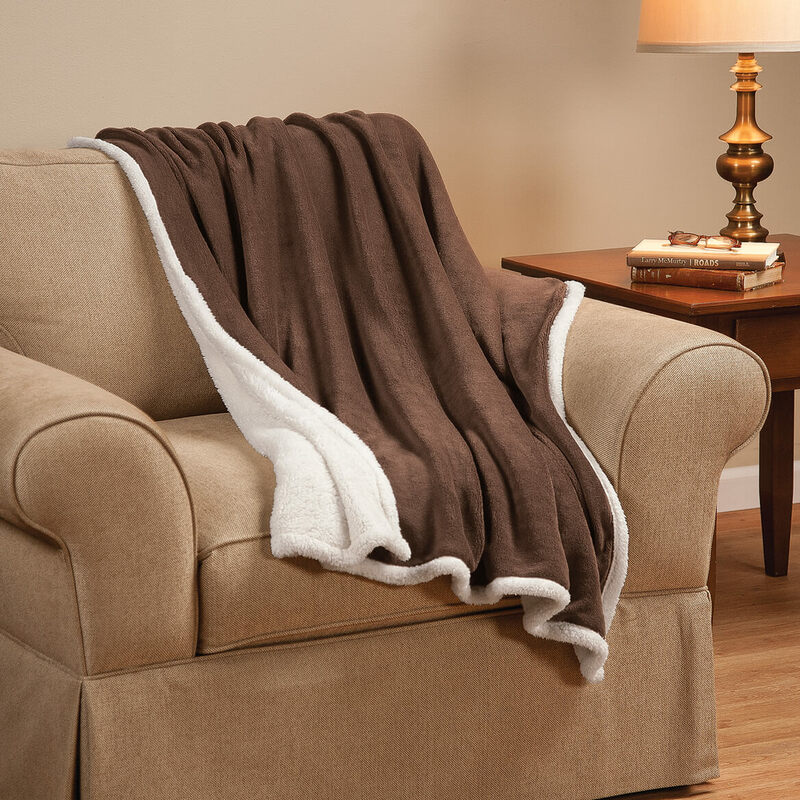 Love this Sherpa throw. Not thin & flimsy like other throws but thick and plush. Keeps these old bones warm and cozy. I would buy another one sometime in the future. I curl up on the couch reading or watching TV and stay nice and comfy! It's so soft that one of my 7 cats curls up on it with me leaving me no leg room but at least I have extra warm feet. It also really seems to hold in the heat very well from your own body and it's own powers. got the throw for my neice and she loves it. I bought two throws, one burgundy and the other brown. I love both of the colors. Both colors matched the picture and description perfectly. 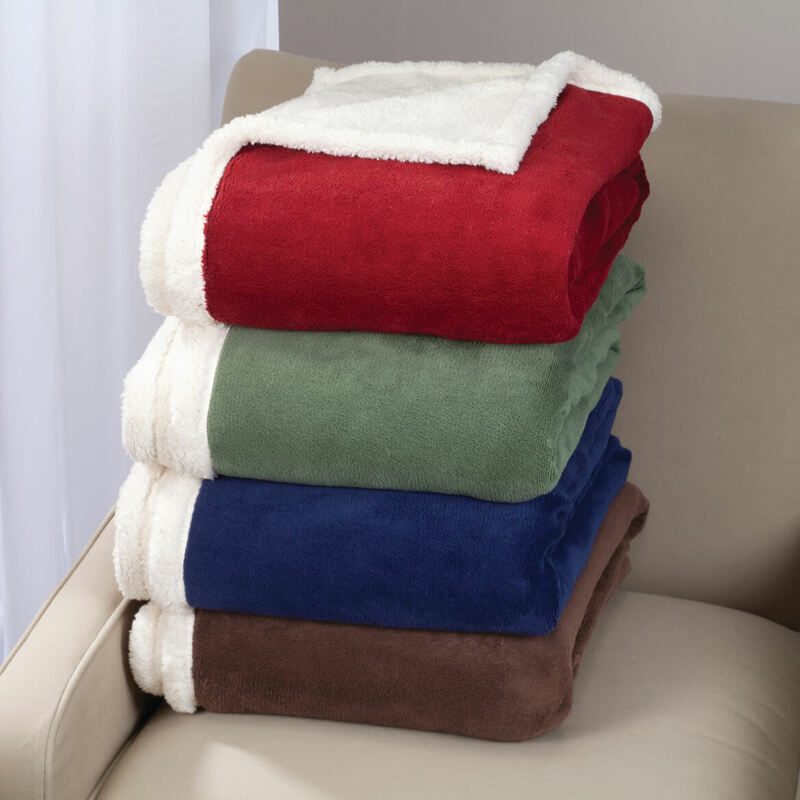 These are soft, comfy and very pretty lightweight throws, NOT heavy blankets. They are as described in the description. I couldn't be happier with my purchase. I would get this again for sure, love it!! very pleased with this throw and very warm too!! purchased one for myself and liked it so purchased this for my son. I am very cold natured and am often chilled when my family is warm. I wrap up in my throw and instantly feel warm - it is so soft - like being wrapped in velvet. Very nice quality. Dark rich color. Would like it to be just a bit longer to fit my massage table. 8 inches. I stay cold all the time but this throw is so warm I occassionally have to take it off as it is to warm. 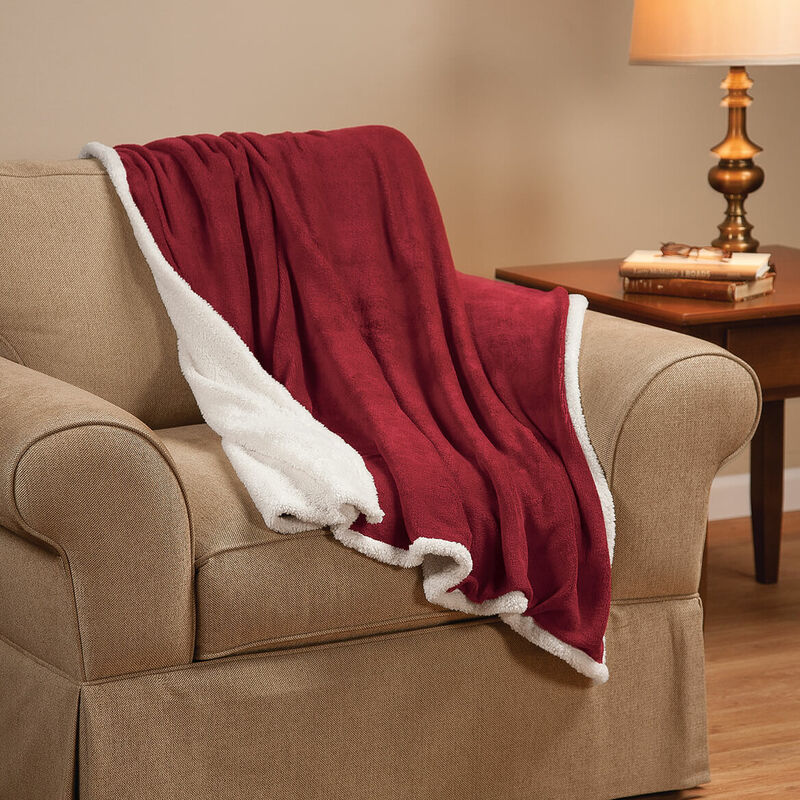 This throw is the same as in the stores and is the same quality for LESS than the price stores charge. I use it all the time especially in my ofc since it is a bit on the cool side. I cannot say enough about it. However, DO NOT put it in a hot dryer you will ruin the sherpa side just fluff and fold. I bought this one in blue with the white Sherpa backing as I just put up my blue and white " winter" drapes. I keep my throws on or near the couch because I tend to use my throws while watching television at night. When I opened it, I was shocked at how thin it was. I thought, how is this going yo keep me warm? But, I was pleasantly deceived. It is the warmest throw I have to date! Don't let this throw go before the cold weather comes! Buy it and I promise, you'll be happy that you did. i love this blanket!! it is so warm and cozy on a cold winters night! 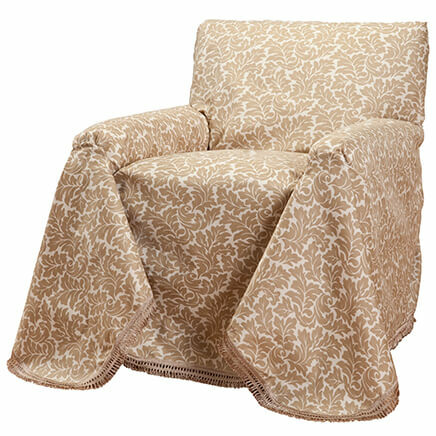 I have one of these and love it so purchased one ofr a friend..great for lounging and watching tv or reading on cool evenings. This was a Christmas gift and the lady loved it because it was so soft and warm to cozy up in. I may buy it, if the price was was more reasonable. I have used this blanket as a throw in the house. It is thin and not very warm. It nice and soft and warm for covering up and enjoying a cold winter day. 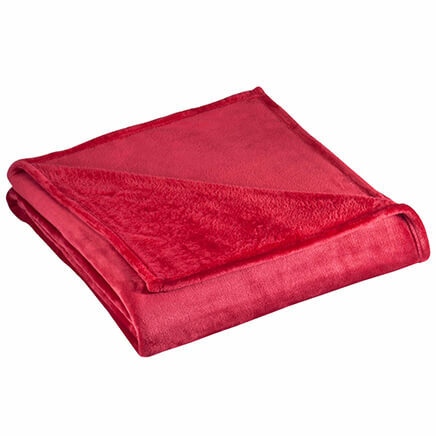 This is a pretty blanket, but it is too thin, it has no stuffing in it. It is just 2 pieces of material sewed together. I will be afraid to wash it because it looks like it would tear up. I would not by again. I ordered this to give as a gift, but returned it. 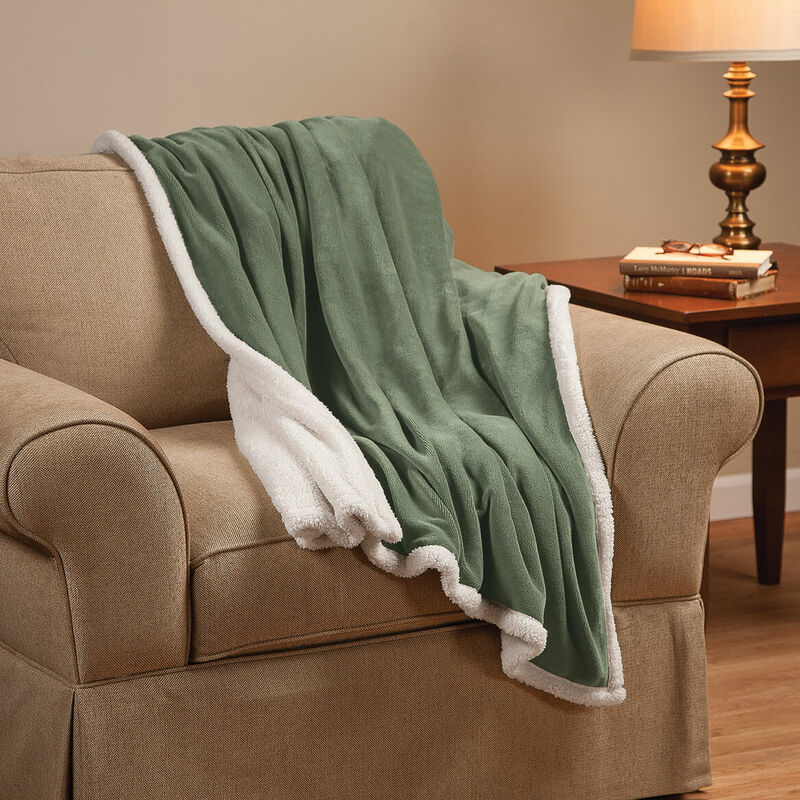 I ordered this blanket in the Sage color, and it looks nothing like the one pictured here. The sherpa is not as light, it's more of a tan. The blanket itself is VERY thin and I can't see how it would really keep anyone warm and cozy. It is soft, but the idea that it can't be thrown in the dryer makes this a poor purchase for me. poor quality -- stitching around sherpa wasn't caught all the way . . Wouldn't purchase as a present. Ok for home use. Look Great on couch as a Throw. Also warm when on cold evenings. This is for my daughter to keep her warm while sitting on the couch. It looks very soft and warm. I like the softness of the blanket. My son wanted to replace a fleecy throw that he has. It looked warm and soft...and a good deal...2 for one...I hope it is. I am hoping that it is as soft and warm as one I already have. I love the size. I like the Sage color and needed one for my revamped living room. I love throws! They are easy to manage while reading, watching TV or just chatting. And it saves on using your heater! have a be comforter made of this. My husband just loves it. thought this throw would work for him on the couch. With all the company coming for Christmas, after a big meal, naps on the couch. They were on sale and can be used all winter long. something for my husband to use and stop taking my snuggie. good price as well. Love love love this. Just ordered 2 more !! Warm soft and just perfect. So many throws are thin and flimsy. I owned a Sherpa Throw before and it is cozy warm. Good for these old bones in the winter. The style suggested quality, and the price is excellent. They look nice. Good comments from customers who already bought them. It is inexpensive and good for gifting. Thank you. Because they are very cozy & they make great gifts. Based on reviews plus a great price! I just love blankets. Our winter lasts 5+ months with lots of snow and freezing temps. For husband as he feels cold more than most because of poor circulation. Looks warm and cozy so ordered two..great to cuddle in and watch movies on a chilly day. Everyone needs an extra blanket!! And the price was great on these!!! Looked so soft and it is. Got it for my mother to use in her recliner. She loves it. Looks comfy and the color is perfect for me. Is a tan color on back of throw? BEST ANSWER: Thank you for your question. The color on the back of the throw is white. We hope this information will be of help to you. can this throw go in the dryer? BEST ANSWER: Yes, put on gentle cycle. will this fit king bed? BEST ANSWER: Thank you for your question. 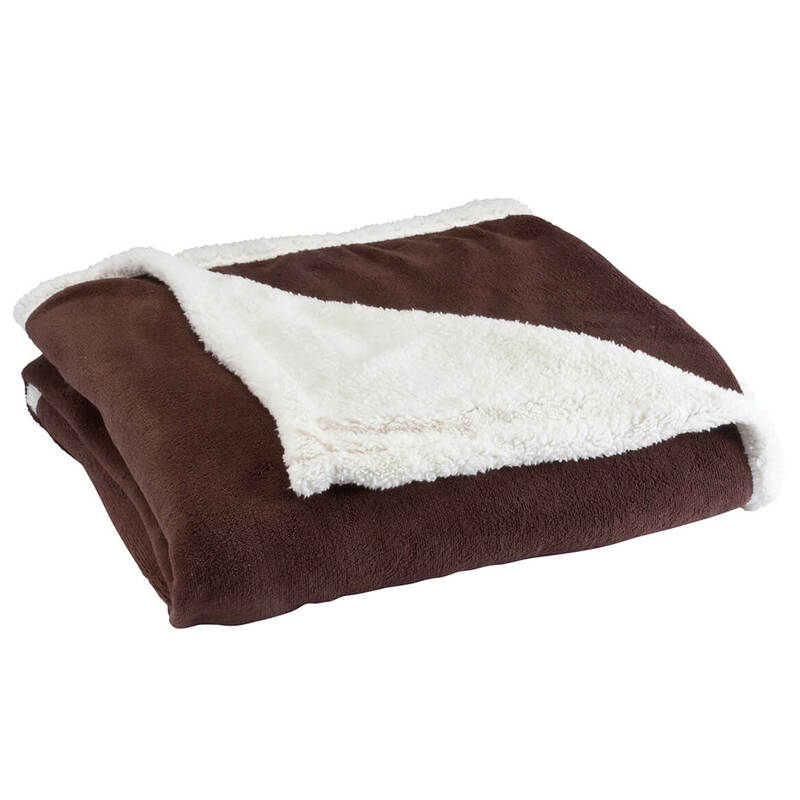 The Plush Microfiber Sherpa Throw is 50" x 60" and a standard king size bed is 76" x 80", so this throw will not fit a king sized bed. We hope this information will be of help to you. There is no way this would fit a king. I actually thought of sending mine back. I use a blanket to cover up when I'm on the couch. Barely covers. No, It is better for a lap blanket.